A nice wide collar of sturdy leather, decorated with silver ornaments. 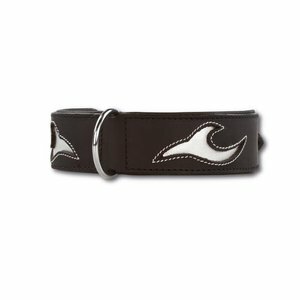 This dog collar is especially suitable for larger breeds. This is an sturdy collar, 40 mm wide, which is beautifully decorated with silver coloured ornaments. The dog collar is especially suitable for larger breeds. 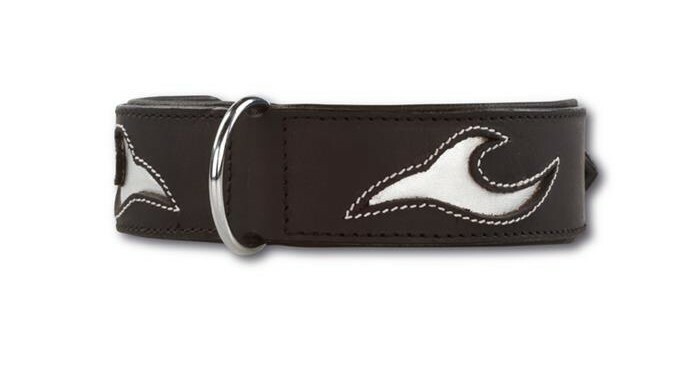 Made of sturdy leather and lined with soft calfskin so your dog will feel comfortable.